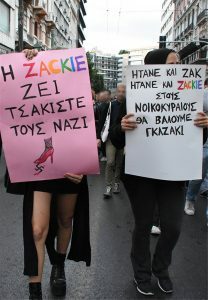 About one thousand hooded protesters and members of the LGBTQ community marched in Athens, Wednesday night protesting against the Greek police’s stance in the death of Zacharias Kostopoulos, who died outside a jewelry store in downtown Athens last week. 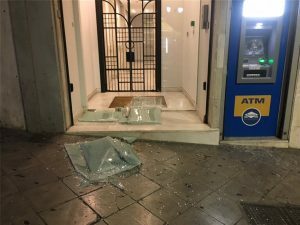 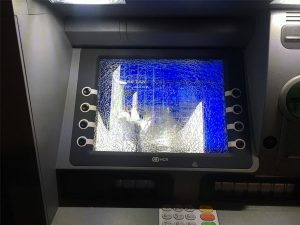 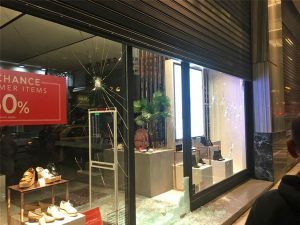 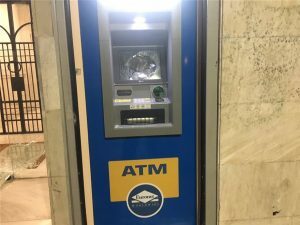 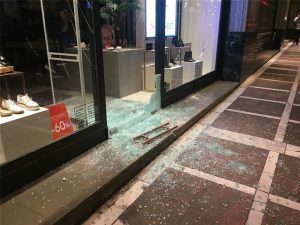 The hooded protesters broke shop windows and ATM machines a little before 8 pm. 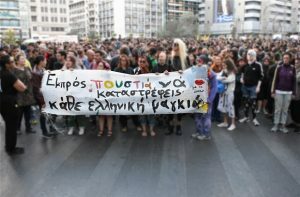 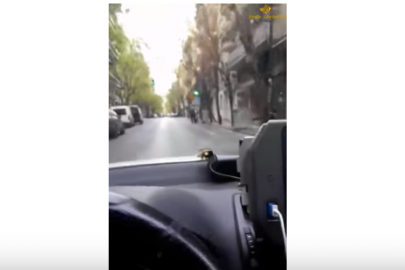 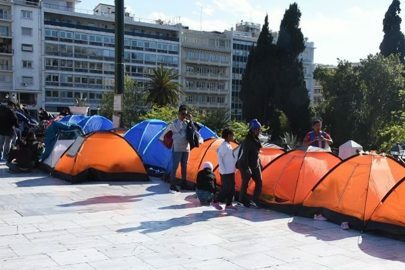 Their march started at Omonia and is moving past Syntagma Square before concluding at the street where Zacharias Kostopoulos died. 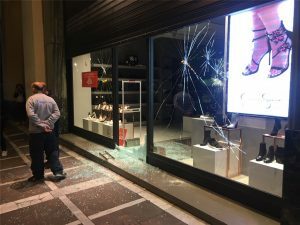 The causes of the death of Kostopoulos’s have not yet been determined. 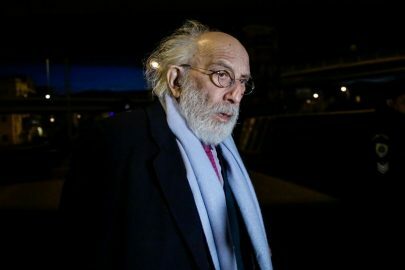 The 73-year-old owner of the jewelry store was released on restrictive conditions earlier today after his deposition. 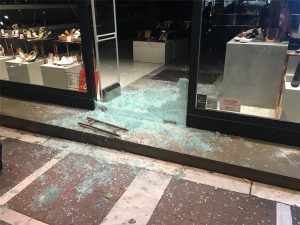 The jewelry store owner, who was seen kicking an injured Kostopoulos in the head and stomping on him faces charges of deadly bodily harm (a felony) and serious bodily harm (a misdemeanour).